First, Nike caused a stir at bus shelters in Singapore. Then it moved onto Chinese airwaves; this time, the authorities were not so amused. 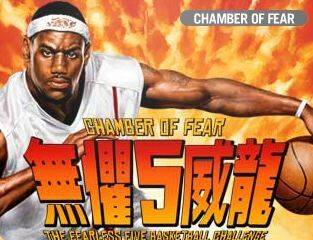 According to this AP article, the Chinese government has banned a Nike TV ad in which LeBron James does battle with a kung fu master (and wins). The advertisement “violates regulations that mandate that all advertisements in China should uphold national dignity and interest and respect the motherland’s culture,” the State Administration for Radio, Film and Television said on a statement posted Monday on its Web site. And I thought the FCC was long-winded. It did not say why the advertisement was considered offensive. But communist officials are sensitive about the use of Chinese cultural symbols by Westerners, and might have been especially angered that the Nike advertisement showed the foreigner winning the fight. Perhaps Nike was hoping for a reaction like this. It’s hard to know these days; after all, bad-boy publicity isn’t always a bad thing. Past ads, usually marketing Japanese companies, have also run afoul of political sentiment and were voluntarily removed. In December of last year, Toyota Motor of Japan had to pull and formally apologize for 30 magazine and newspaper advertisements made by Publicis Groupe SA’s Saatchi & Saatchi depicting stone lions, a traditional sign of Chinese power, saluting and bowing to a Prado Land Cruiser sport-utility vehicle. A similar fight erupted this fall about an outdoor display made by Publicis’s Leo Burnett showing a sculptured dragon that was unable to keep its grip on a pillar coated in Nippon Paint’s smooth wood coating paint.